Get your game on as Key West gets ready to celebrate Fantasy Fest 2018: October 19 - 28, 2018. 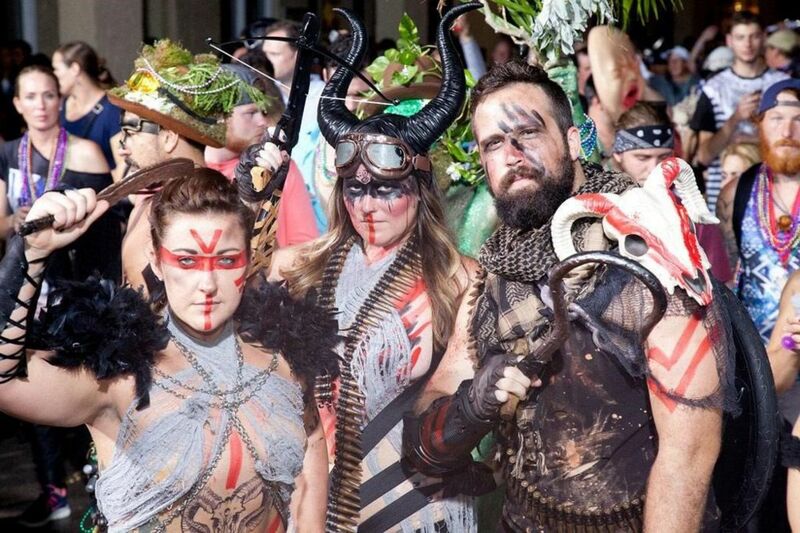 So many parties, so little time and that's why want to focus on some of the cool, colorful and creative costuming parties during the ten-day festival. Glow Parties, White, Red, Pink, Plaid, Blue and Green, themed parties - Beach and Pool parties, Tu-Tu's and Togas and a 60's 70's and 80'sparties. Welcome to Fantasy Fest Key West. 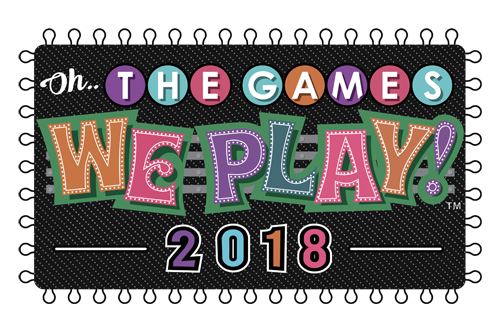 This year's Fantasy Fest theme is Oh, The Games We Play. Whether you are a single player, multiplayer, or just a player, this year's theme is sure to get your cranium creating some costume ideas. Become your favorite game show host, bring to life your childhood board games, or transport yourself into your most loved netherworld. The ideas are endless, so roll the dice on your favorite game to play, and we'll see you in Key West for the festivities! Join Patrick and the Swazyees in taking you back to the time of surfing, sun-bathing, and beach blanket bingo. Put on your favorite beach attire, sport your boldest bikini or don your newest tie-dye. Grab your flip-flops and head out to the beach to twist again, like you may have done last summer. Drink and food specials all afternoon along with beach activities and, of course, good old fashion fun! 2PM- 5PM at Southernmost Beach Cafe, 1405 Duval Street. Experience a party that caters to all exotic lifestyles and fantasies. Whether you wear your naughty or nice plaid to attract old friends or to stimulate the new, this party is for you. Everyone is invited to this party for the ages that only the legendary Capt. Tony's can host. Great music and drinks, plaid costumes, exotic people. 428 Greene St. 8 PM; FREE. Photo Credit: (@sayhellojessiejo) on Instagram: "@theswayzees are killing #fantasyfest week! Proud of my boys! #shotbyjjj"
Let us take you back to a groovy time full of Tom Collins, Pink Squirrels and Greyhounds. Join us at the Marker Waterfront Resort for The Sixties Pool Party. Boogie down to live music, sip on a few of our nifty drink specials and have a guaranteed far out time. 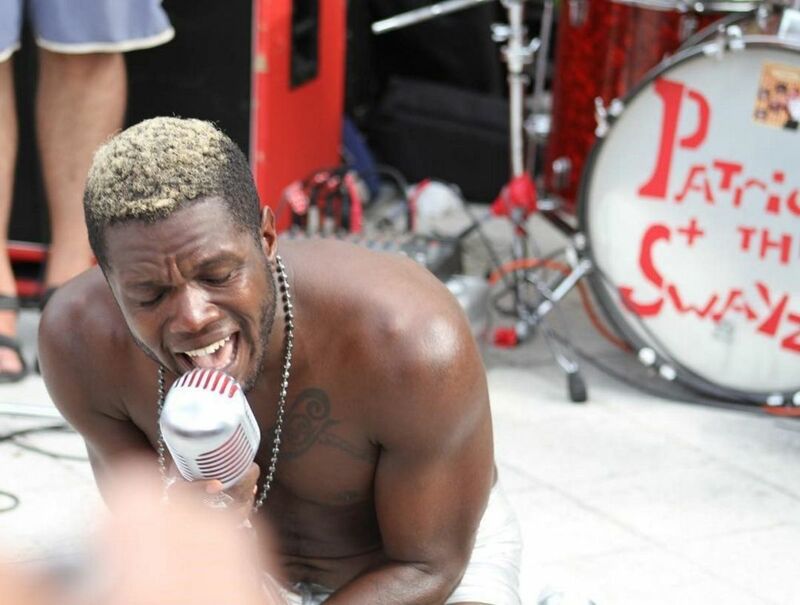 Featuring Patrick and the Swayzees Live Poolside! The Marker Waterfront Resort, 200 William Street. "Travel back in time to the '60s, with Peace and Love Woodstock-style. It’s tie-dye, flower power, and psychedelic colors in a time capsule of the era at Schooner Wharf Bar. The Party starts at 7 PM. Prizes for sexiest Hippie Chick and Grooviest Dude -- judging at 8:30 PM. Enjoy live music and dance to tunes that reach back in time from Gary Hempsey and That Hippie Band from 7-midnight, plus cold drinks and great galley fare. Emceed by Magic Frank Everhart. Winners will receive cash prizes and gift certificates. 202 William St.; 305-292-3302; Starts at 7 PM; judging at 8:30 PM. No cover charge or entry fee." Come and dance under the sea at Lucy’s Retired Surfers Bar’s BLUE PARTY! Key West’s coolest bar and restaurant is going all out for a night of marine-themed fun featuring live music . Throw together your most creative costume for our killer contest and a chance to win some awesome prizes! Sip on signature cocktails like the Shark Attack and keep the party rockin' with late night eats. Entry is $5 and all ticket sales go directly to our friends at Reef Relief. 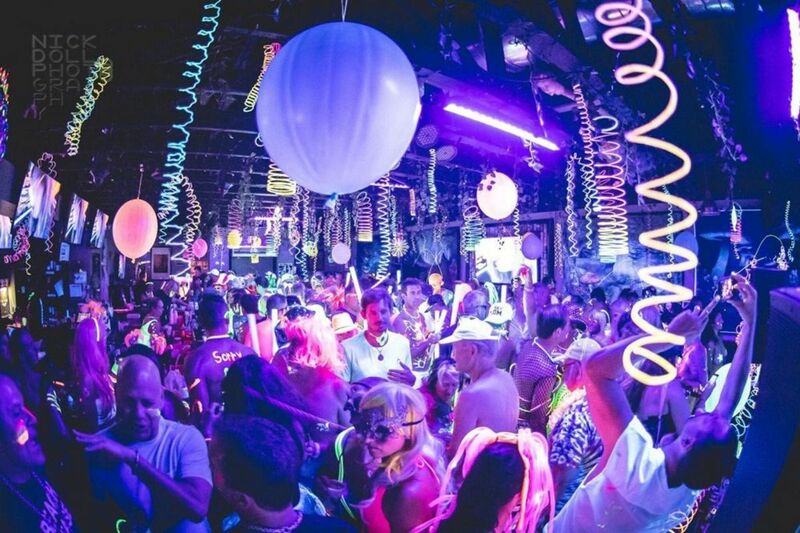 The party starts at 8pm at 221 Duval St.
Come join the biggest party on the island at the 3rd Annual White Party. We have something for every mood. Featuring DJs in two different venues to keep the party moving. The island’s best live rock band, The DurtBags, rocking the night away in Durty Harry's. Enjoy your secret fantasies with the lovely ladies of the Red Garter. Let your artistic side glow under the black lights. Doors open 8 PM, 202 Duval St. If you love rock and roll as much as we do, come bust a move at Irish Kevin's annual 80's party! Prepare your leg warmers and Members Only jackets. Dress head to toe in your best 80's costume with awards given throughout the day. We have live entertainment from open to close, but at 10:30 PM our full 80's band will keep you fighting for your right to party into the wee hours of Friday morning. 211 Duval St; 305-292-1262; 10:30 PM; $$. 10th Annual TUTU Party - DECADE-Dance. Come in your favorite tutu themed costume from the last Decade! We Will be celebrating the glory of the TuTu and all of its wonderment! Doors open at 7PM, $20 wristband admission, General Horseplay Complex-- ONE PARTY IN FOUR BARS, 423 Caroline Street, No TuTu - No Entry. Toga! Toga! Toga! Sloppy Joe's Toga Party is "An ORIGINAL Fantasy Fest Event." Get your toga ON and find out why we are "Still The Best Toga Party in Town!" Transport yourself back in time with a traditional ancient Toga or dare to create your Toga using Fantasy Fest theme "OH…the games we play." Best Togas will win Sloppy Joe's gift cards throughout the night. At 9:30 pm, we'll have a Toga Ceremony to award best Togas. Groups may participate in Ceremony (a group is 2-8 people). Audience will choose winner. Above is just a spotlight on some of the events. Make sure to visit Fantasy Fest website to get the complete schedule of events.